This is one of those images I would gladly vote and favorite more than once. Is this associated with an anime or manga? 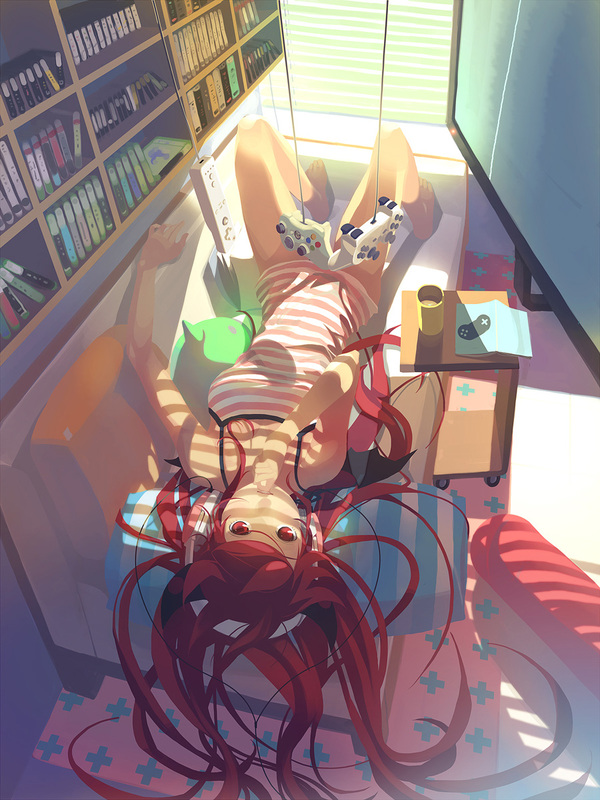 Or any anime/mangas that this artist as drawn? Vofan draws this girl, along with two other devils and one angel, for the covers of FamiTsu magazine. Sadly, no manga or anime for the girls. He does the light novel illustrations and the character design for Bakemonogatari. No wonder I recognized his art from somewhere! Bakemonogatari is a MUST WATCH!